I have strong memories of going out to the “bush” as a kid. As you may, or may not know the term “bush” in Australia is slang is for anyone who lives outside the city. 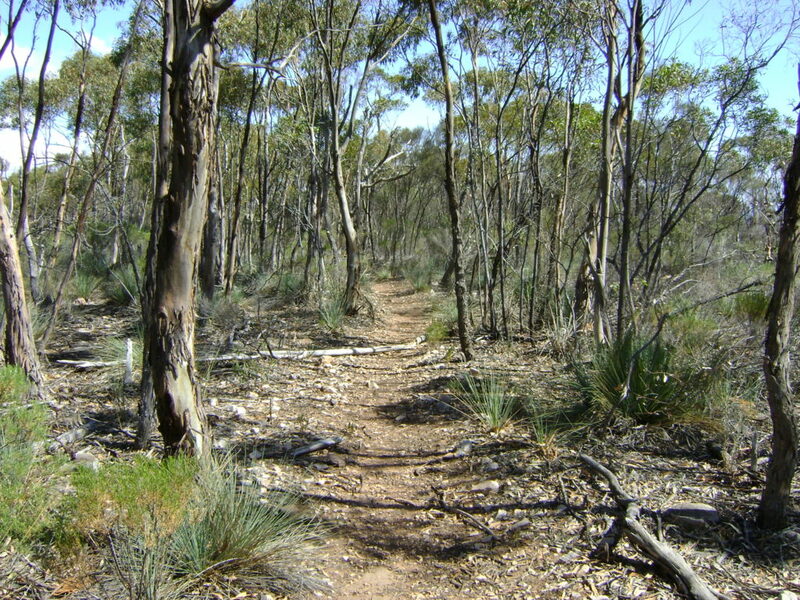 Although, given that we already lived well outside the city, we used it in a slightly different context in that we called the bush the actual eucalyptus forests that are so prevalent in Australia. One of my fondest memories was helping dad cut out the “block”. This annual event consisted of dad applying to the Forestry Commission for the lease of a one acre block to cull certain types of trees. Each year the Forestry Commission would assign a certain number of square kilometers for culling and semi clearing, which anyone could then apply for. So for a small fee you could apply for one of these blocks. The commissioner would walk through your block, and tag the trees that you were not allowed to cut down, these usually consisted of the tallest and straighest trees as they’d cultivate these for use as telephone poles. All others were fair game. Most years, given the density of the bush you could cut anywhere between 30 and 40 tons of wood from each block which is what we used for our wood stove and heater at home. Over the years dad must have cut down literally hundreds or trees with his razor sharp axe which he meticulously kept for this very job. Generally on our first visit we would walk around the block to get the lay of the land, starting on higher ground (if there was any) and working our way zig zagging back and forth across the block until we’d walked it all. All the while dad would be thinking about his plan of attack and more importantly the best place to start so that we didn’t have to move the logs too far for stacking. Then he’d take his axe and begin the slow and meticulous job of cutting down the trees one at a time. After a number of years dad was able to eventually buy himself a chainsaw, which made his job a lot less backbreaking. This job was a long and laborious one as we spend the course of many weekends, and depending on the time of year (if it was still daylight savings) some times mid week after dinner for a couple of hours out at the block. Once he cut down all of the trees he would go back to the first trees which would be somewhat dry by now and begin the task of cutting the trees into 6 foot lengths. Our job (my brother James and I) was to then separate the logs and smaller branches into two distinct piles. To enable us to stack the 6 foot lengths, dad would cut two long thin timber poles. He’d sharpen them on one end and drive them into the ground approximately 6 feet apart. He would then bolster these with another pole driven into the earth at a 45 degree angle and wedged into a notch that he’d cut into the initial pole thus creating a backstop. Then James and I would gather all of the six foot lengths and begin stacking them between the these posts, with the wood slowly building till it was about 4 feet high. At this point we’d lay a length of wood across the top to mark that this stack was complete. This sized stack would generally equated to approximately one ton in weight. Once dad had paid the levy we could then haul the wood out from the block on a truck he’d would borrow from a nearby farm he worked at. We’d also borrow a saw bench and then the three of us would cut the wood into one foot lengths that would fit inside the stove and heater. This was an annual event, and even though it took a lot of free time and was heavy physical labour for a young lad it got me comfortable with working hard as well as familiar with the bush. However, there were two things that I must admit I loved about our time at the block each year. The first was that dad would let me drive the car once off the main road and on the bush tracks. Initially, he started by letting me sit next to him and steer, but then as I got older this graduated to actually driving the car. Clearly a huge advantage of growing up in the bush, and a pretty cool one for a young kid. My second favourite thing was to explore the natural bush if I had a moment to spare. Just smelling eucalyptus scent today transports me back to those intoxicating days on the block… Just incredible! Sometimes on our way home after a long day working on the block dad would stop at the milkbar on the edge of town and he’d buy us a milkshake each. I wonder…was it just a dream? 0 Comments on "Perhaps just a dream?"